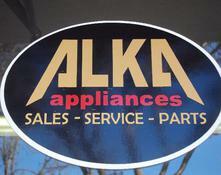 Our family opened ALKA Appliances in 2010, selling used appliances in the city of Norwalk,CA. Today, our reach extends from Whittier to Long Beach and much more! If you walk into our store today you can buy New and Used appliances, schedule a service call to repair your appliance in home, or purchase genuine name brand appliance parts. Our refurbished appliances come with a 6 month warranty and local delivery,. Our new appliances come with 1 year manufacture warranty. Below, you can read about how those benefits work. All of our appliances come with free delivery within 10 miles of our store. Deliveries that are above the ground floor come with a service charge of $20 per flight of stairs, unless there is an accessible elevator on site. If we have to take a few steps (like a porch), we will accommodate the customer happily, but should our delivery team need to go up or down a flight of stairs (more than 6 steps) at any time, including subterranean parking structures, etc; we will charge $20. *For Side-by-Side or Bottom Freezers, the service charge becomes $35 as these are larger and heavier appliances. For deliveries that are more than 10 miles away, all pricing is decided at the time of sale. Regarding larger appliances such as Side-By-Side Refrigerators and Bottom Freezers, we may not deliver these to 2nd+ floor addresses as the delivery can be extremely difficult due to the size and weight of the appliance. Each delivery is considered on a case-by-case basis. We reserve the right to refuse delivery at any time. All used appliances come with a 6 month warranty unless otherwise specified. 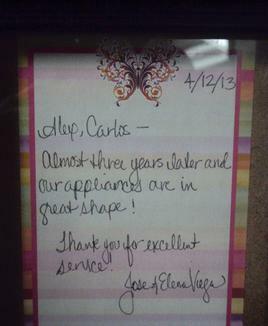 All new appliances come with a 1 year warranty by manufacture unless otherwise specified. Warranties include parts and labor. Warranty does not cover cosmetic damage to the appliance. All appliances are sold as is (that includes facets of the appliance at the time of sale including but not limited to dents and scratches or missing drawers, etc;). - Change of address or ownership to appliance (appliance should remain in the address specified on the receipt unless otherwise authorized by ALKA Appliances Store Manager). - Improper or unauthorized delivery or installation by anyone who is not an ALKA Appliances Employee. - If the appliance is laid down but plugged in before 24 hours of standing it up. Our technician can and will travel to most delivery locations but we may require the customer to bring the appliance in themselves if it needs to be serviced based on the distance of delivery address. 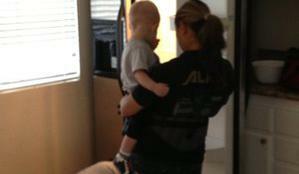 We do not reimburse customers for delivery of appliance to or from ALKA Appliances. Please ask at the time of sale if you may be too far for in home repair. ALKA Appliances does not cover the cost of damage resulting from loss of food, improper use of the appliance, alteration, accident, abuse, fire, flood, acts of God, improper installation, installation not in accordance with electrical or plumping codes, or use of products not approved by ALKA Appliances. There is no money refunds or exchange on any sale either an appliances or a part. We reserve the right to sell products without warranty or to VOID the warranty at any time. All sales are considered agreement to the terms of conditions regarding Warranty and Delivery.